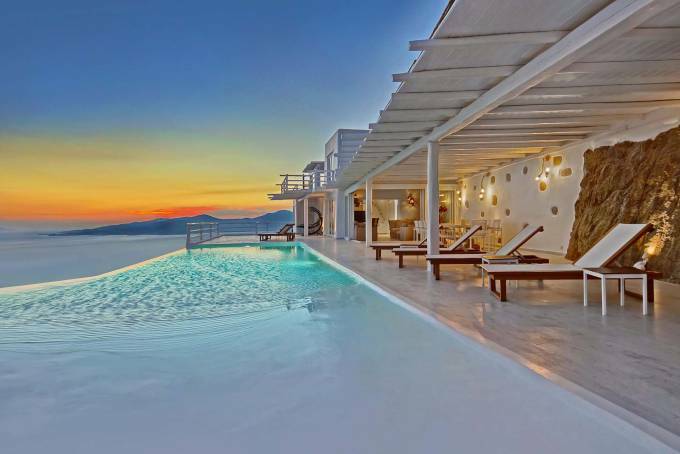 Welcome to the most famous and cosmopolitan island in Greece; Mykonos, the whitewashed paradise in the heart of the Aegean Sea. 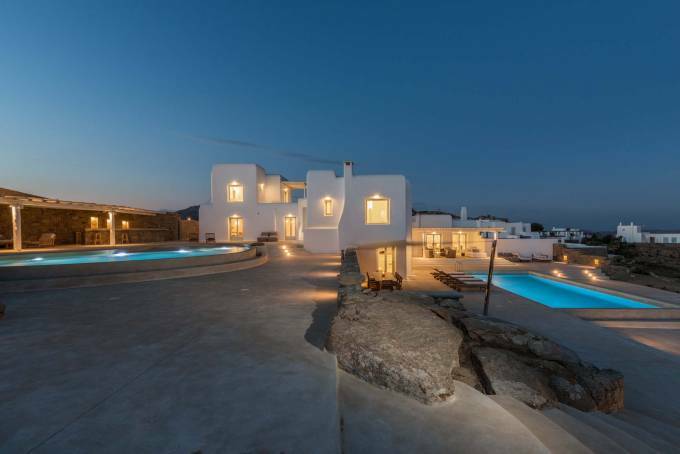 Blue Luxury Mykonos villas offer the perfect setting for sheer opulence, chic and stylish parties, memorable weddings and exclusive luxury living on the famous Greek island Mykonos. 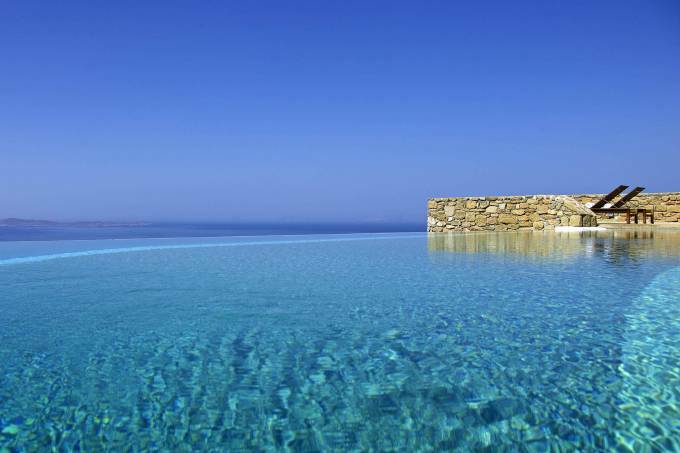 Mykonos villas will become the ideal place for holidays with friends and family this year. Set out on a journey to discover a fascinating world where glamour meets simplicity. 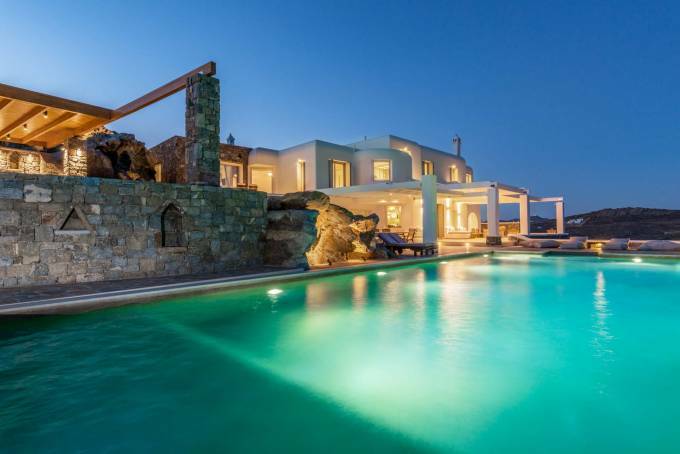 In Mykonos, celebrities, college students and families mingle together to celebrate the Greek summer. 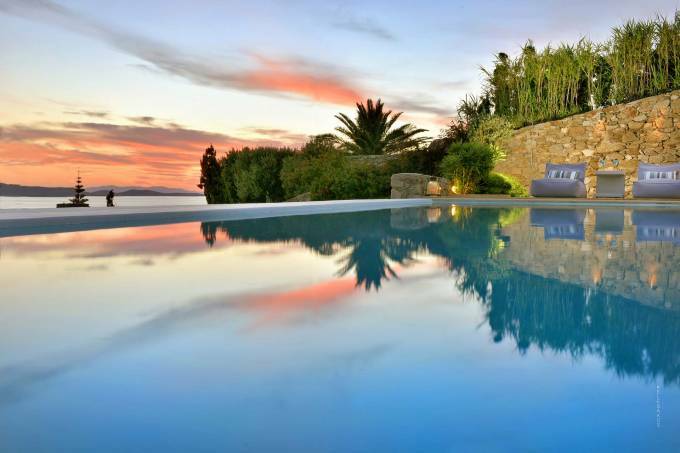 Stroll around its narrow marble streets and admire whitewashed Mykonos villas with colorful doors and window frames, bougainvillea trees in purple bloom and hidden churches. 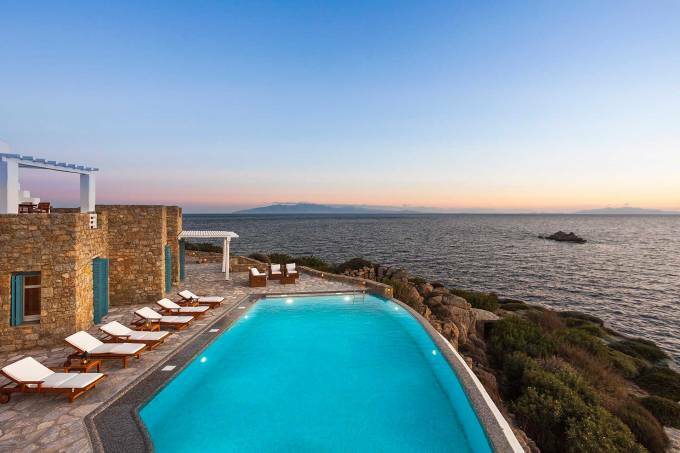 Let your senses free to taste, up to your heart's desire, all that Mykonos has to offer, restaurants, bars, clubs, beaches, shopping until sunrise, private cruises. 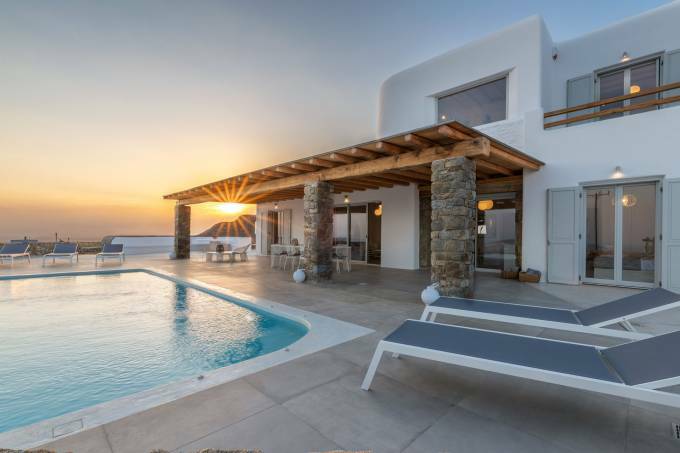 Ideally situated, Blue Luxury villas in Mykonos seem to reach for the sky whilst enjoying commanding panoramic views of the endless horizon and the enchanting Mykonos town. 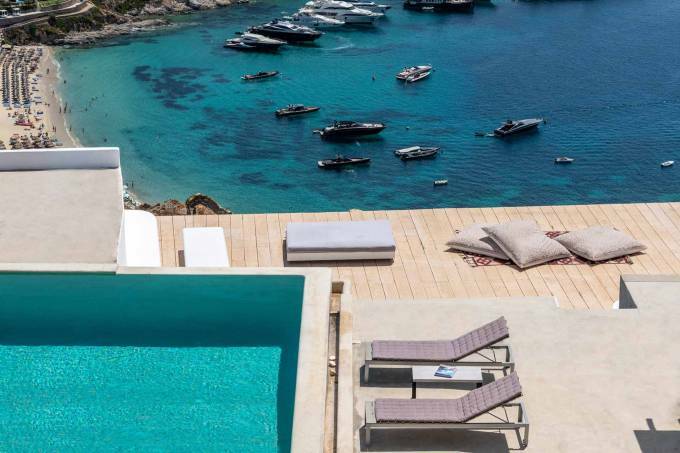 Prestigious guests are welcome to surrender to the pleasures of heavenly indulgence and unrivalled privacy while staying in the most luxury Mykonos villas. 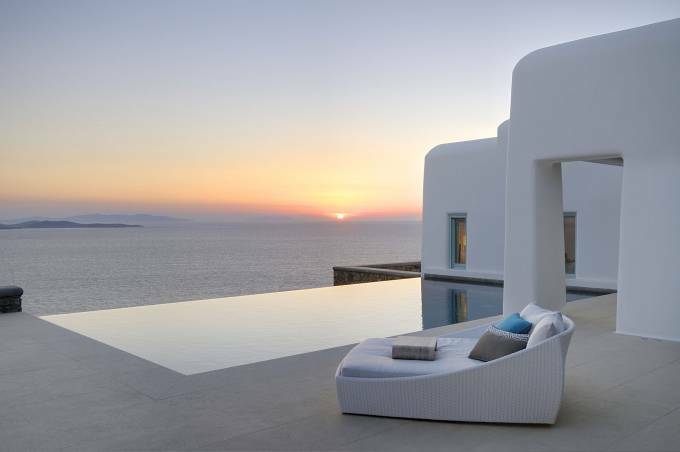 Seaside Mykonos villas enamours guests with inimitable aura of romanticism and unpretentious level of luxury.